Come Chill on the Hill! Four days of family fun take place on July 13-16, 2017. Bring your family, your sunscreen, your lawn chairs and your dancing shoes! Residents and visitors, friends and neighbours are invited to come together in Fonthill to explore our lively and walkable downtown! Thursday is the Opener in Peace Park where you can shop for local produce and goods at the Farmers’ Market, dine at the Supper Market and enjoy fabulous music. 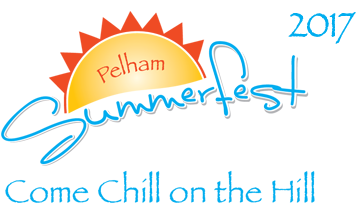 Friday and Saturday, our popular Street Festival returns with entertainment on the main stage on Pelham Street, outdoor patios, vendors and more. Saturday is also the day for the exciting and interactive Kids Zone in Peace Park. There’s still lots to do Sunday in the Park, with a pancake breakfast, Kids Zone, family walk, vendors, blues music in the band shell and the best small town car show in the area. We hope to see you out to Chill on the Hill this year!